I am often surprised when I look closely at things and discover something that is not readily apparent. For example, this morning I went out to take a look at some of the garden plants to see what needed pruning. 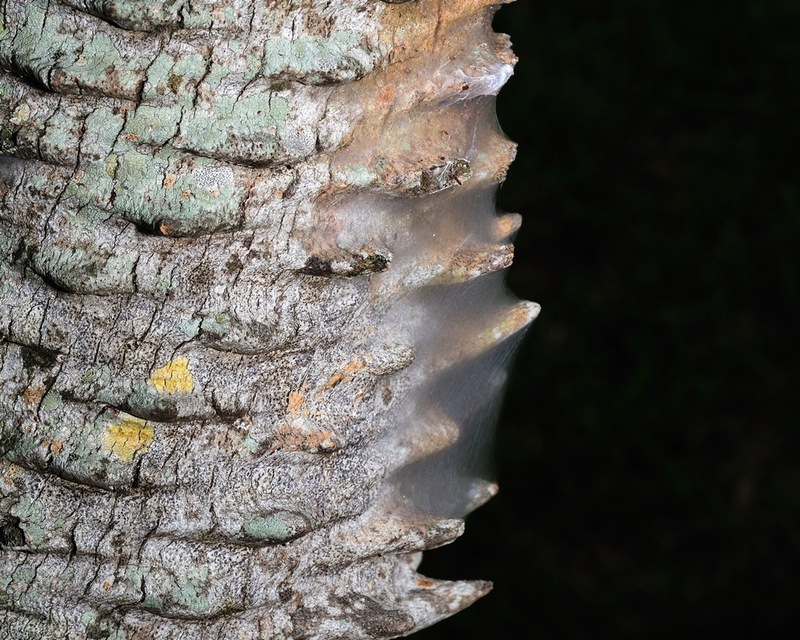 I was looking at one of the pineapple palms and thought I saw an odd spot on the bark. 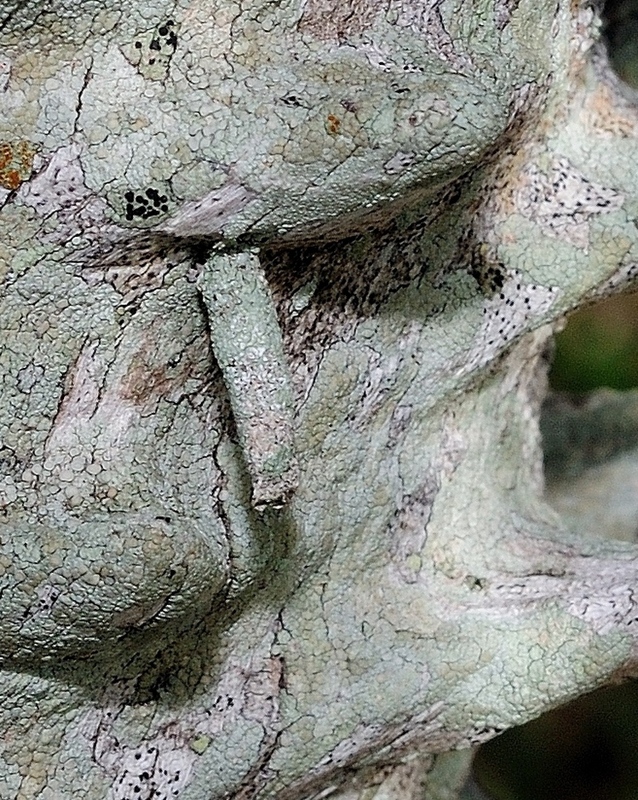 Although the bark is rough, the protrusions are relatively regular. This was outside of the pattern. Look at the picture on the left and see if you notice it. The picture on the right shows the oddity in closeup. Now, I see these from time to time on my palms. 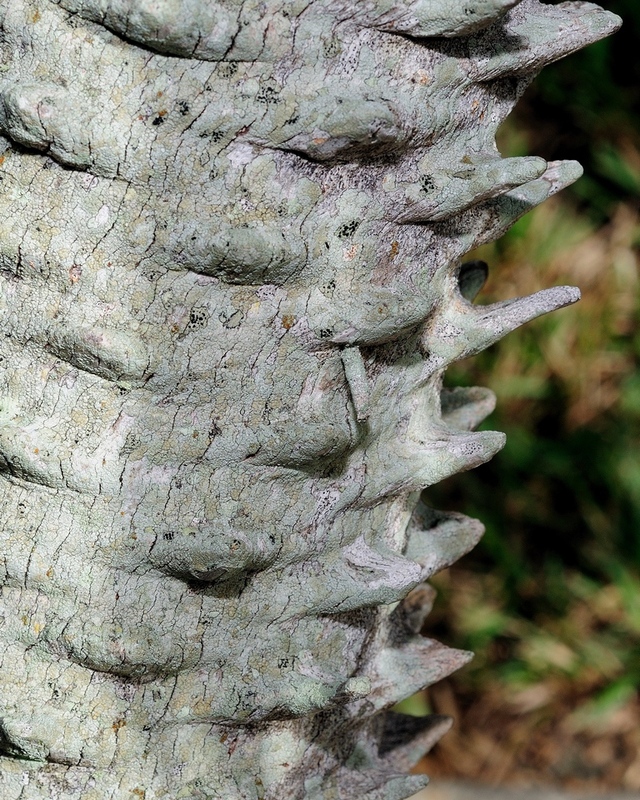 They are really easy to find on the smooth trunk palms but, more difficult on the rough. What this is is the larvae of a type of bagworm moth. The eggs hatch in a web that looks like a translucent bag on the side of the tree. The left photo here shows a hatching bag and the right another view of the larvae. 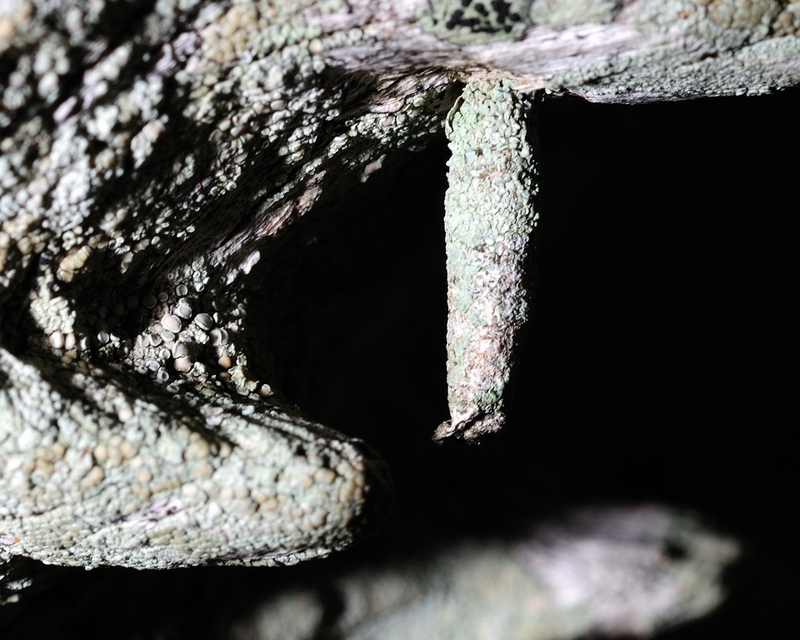 The larvae eat Lichens from the trunk leaving the black spots you can see above it but, at the same time, they cover their bodies with the lichens to blend in to the bark. Nearly perfect protective coloration and much like a snipers ghillie suit in concept. All shots with a Nikon D90, 60mm f2.8D Micro-Nikkor and SB-800 flash, 1/320 f11 or f16. I just saw a ghuillie auited insect, using some dried and fresh leaves as a ghuillie. It was amazing how itade the ghuilkie and how it stopped moving on its tracks when it sensed i was in onto it.